Product prices and availability are accurate as of 2019-04-14 21:37:59 UTC and are subject to change. Any price and availability information displayed on http://www.amazon.com/ at the time of purchase will apply to the purchase of this product. Add a stylish look to your bathroom with the iDesign Olivia Waste Can. 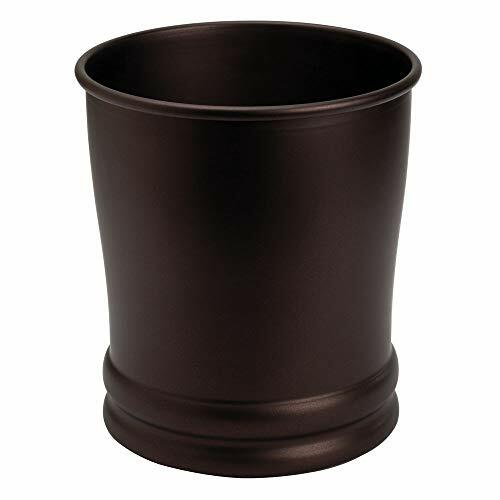 The bronze color scheme of this quality metal waste basket is sure to make a great addition to any decor. The waste can is constructed of steel for years of quality use. The non-skid steel base assures that your waste can stays upright and in place. 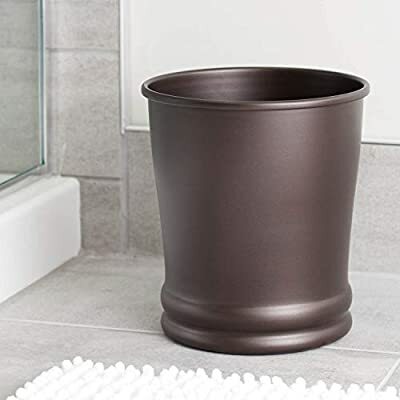 Perfect for bathrooms, offices, and bedrooms, the versatile trash can is compact enough for any space in your home. The iDesign Olivia Waste Can measures 9" x 9" x 10" With iDesign by InterDesign, you can #LiveSimply every day.